​Liverpool maintained their title challenge with an ​important 3-1 win over Southampton to return to the top of the Premier League. Naby Keita's first goal for the club cancelled out Shane Long's ninth-minute goal for the hosts as both teams entered half time on level terms, before goals from Mohamed Salah and Jordan Henderson inside the final ten minutes secured three vital points for the Reds. 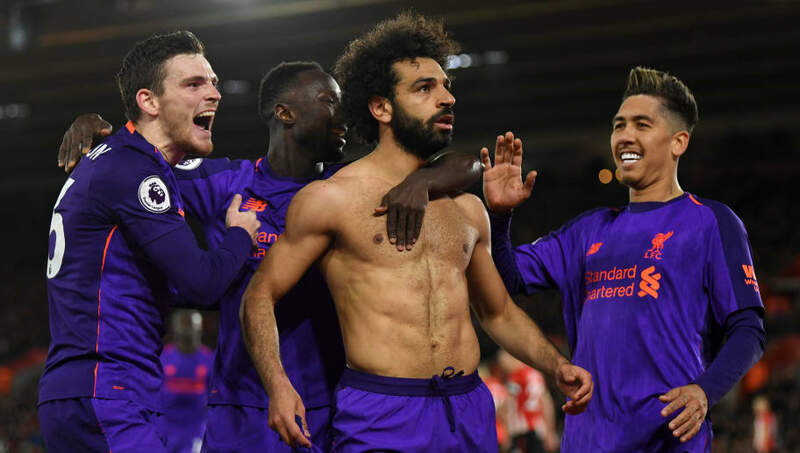 The crucial second goal for Jurgen Klopp's side, which was as a result of the pace of ​Salah on the counter-attack, also proved to be a historic one for the Egyptian and the club, as it was his 50th ​Premier League goal for ​Liverpool, with him reaching that milestone in fewer games than anyone else in their history. It's taken the 26-year-old just 69 games to reach that tally, three games fewer than Fernando Torres (72) and 17 games fewer than Luis Suarez (86). ⚽ @MoSalah has scored 5️⃣0️⃣ PL goals for @LFC - quicker than any other player. Other players that Salah has beaten to reach 50 Premier League goals for the Reds include Robbie Fowler (88), Michael Owen (98) and one striker who is still at the club: Daniel Sturridge (103). Of Salah's 50 league goals for Liverpool, 32 came during his first season at Anfield in 2017/18 in a record-breaking season for the former AS Roma and Chelsea man, with a further 18 goals coming this season - which has seen him draw criticism for failing to reach the levels he set a year ago. Salah is also in esteemed company when it comes to reaching 50 Premier League goals for a single club, as according to ​Opta, only Alan Shearer at Blackburn Rovers (66) and Ruud van Nistelrooy at Manchester United (68) have done so in less games than the winger in the Premier League era. Salah's goal helped Liverpool record their 25th league win of the season, which sees them move back to the summit of the table with a two-point lead over Manchester City, who are in FA Cup semi-final action this weekend against Brighton.